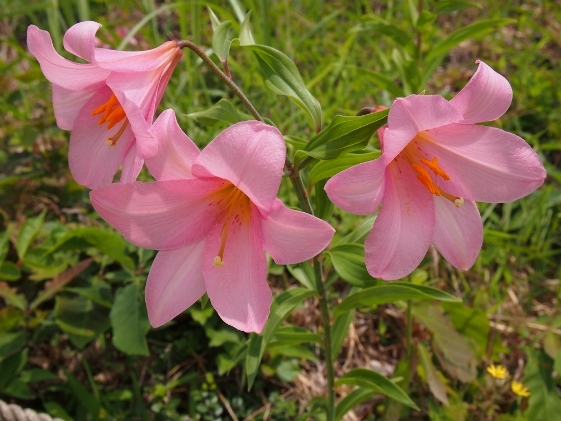 Today I visited the Hill of Lilium rubellum again, and then checked the cycling road from Atsushio Onsen to Kitanosato Road Station, and finally arrived at Nitchu Onsen which was near the border of Yamagata Pref. 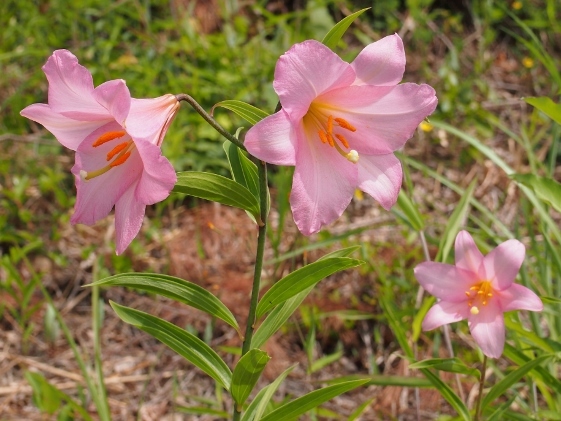 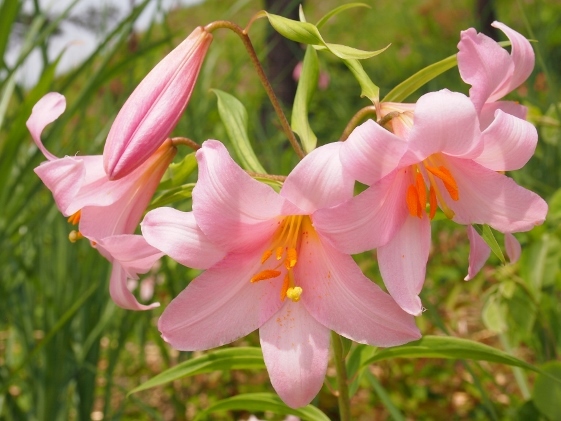 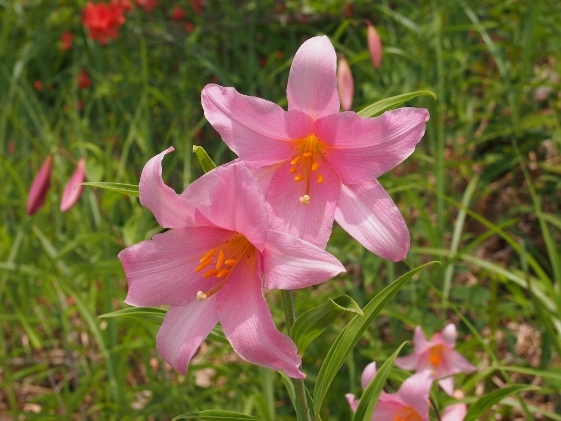 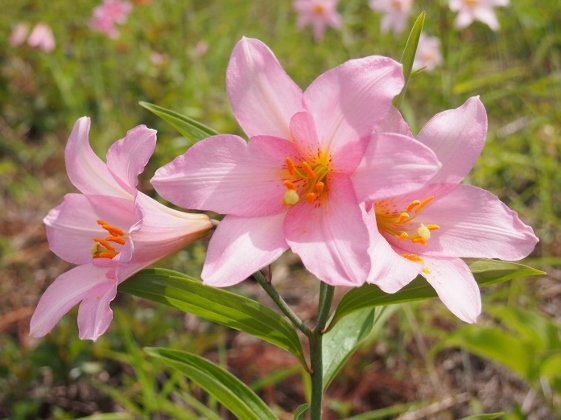 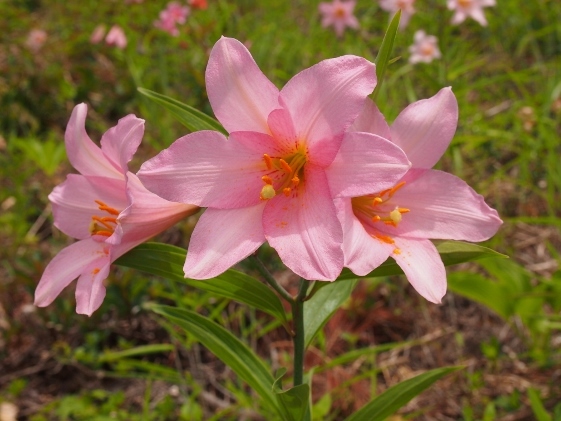 I have shown many pictures of beautiful lilium rubellum yesterday. 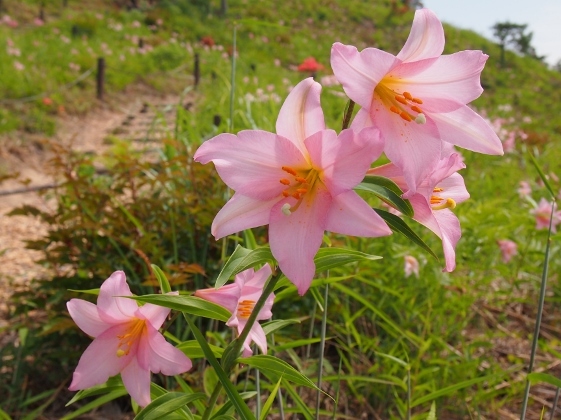 I visited the hill again and more pictures were shown above. 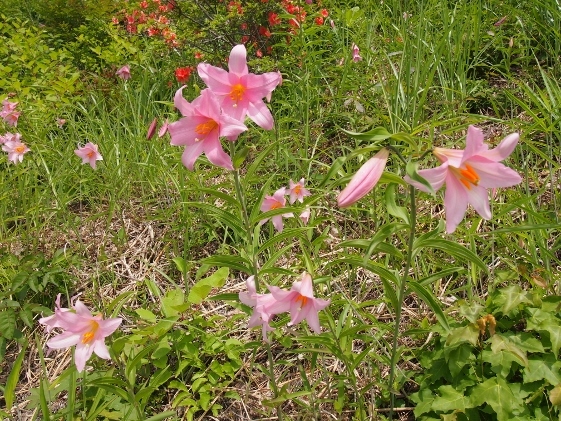 This time I took pictures in the morning, meanwhile pictures shown yesterday were taken in the afternoon. 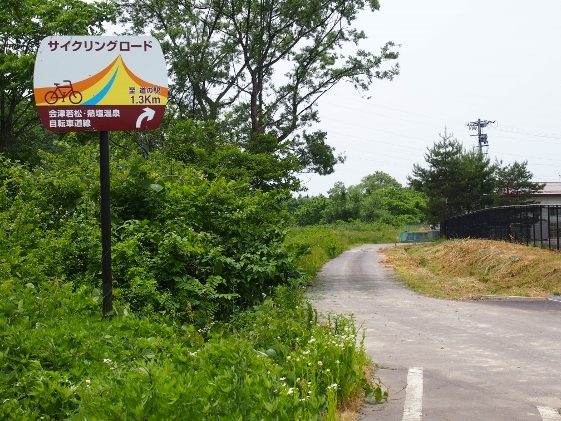 Then, I checked the cycling road from Atsushio Onsen to Kitanosato Road Station. 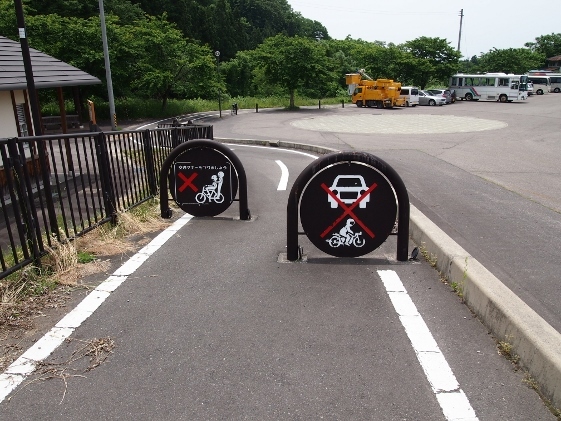 I started from the point shown in the first picture above, and after 2.5km run, a guide sign appeared as shown in the second picture and the cycling road merged to the public road. 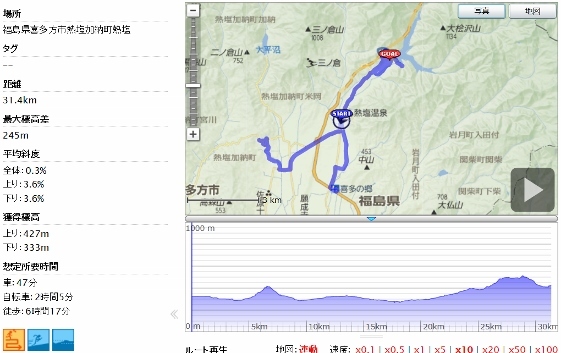 The third picture shows the spot from opposite direction. 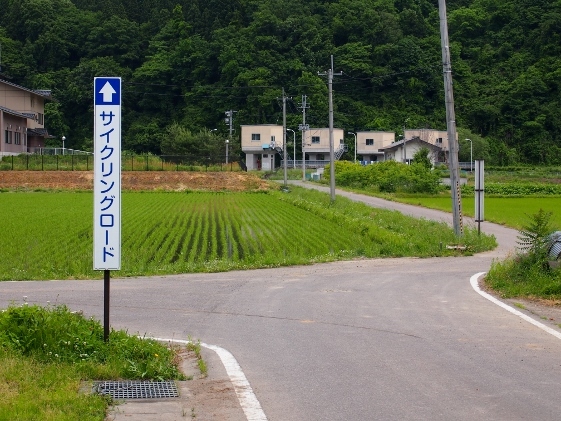 Then some guide signs such as shown in the fourth picture took me to "Kitanosato" without getting lost. 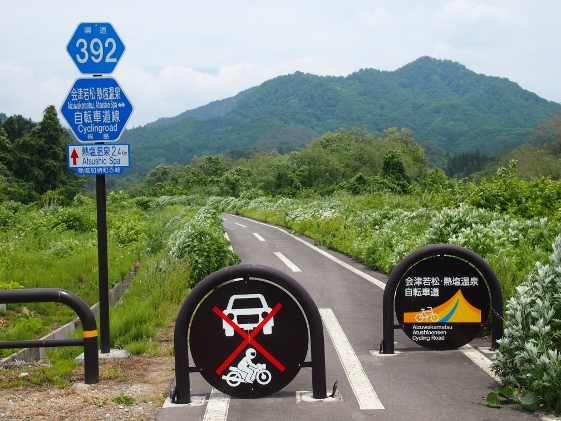 It made me clear that the cycling road had no problem. 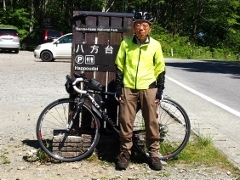 At Kitanosato Road Station I tasted famous Kitakata Ramen. 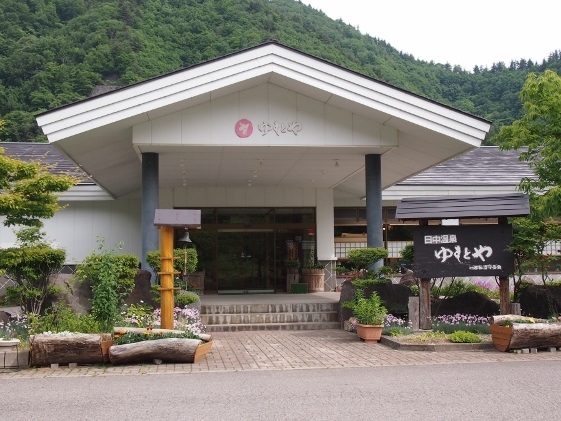 This was the first time for me to eat at home town of the ramen. 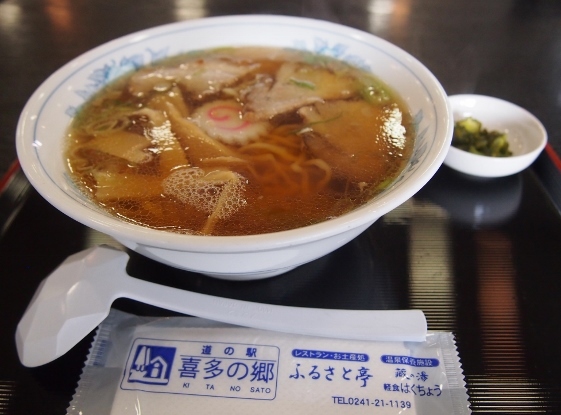 The soy soup ramen shown in the picture above was delicious with 600 yen charge. 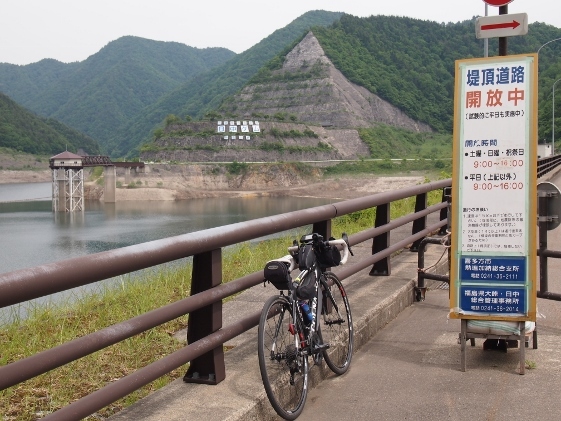 I returned back the cycling road and pedaled to Nitchu Dam as shown in the picture which was located near the border of Yamagata Pref. 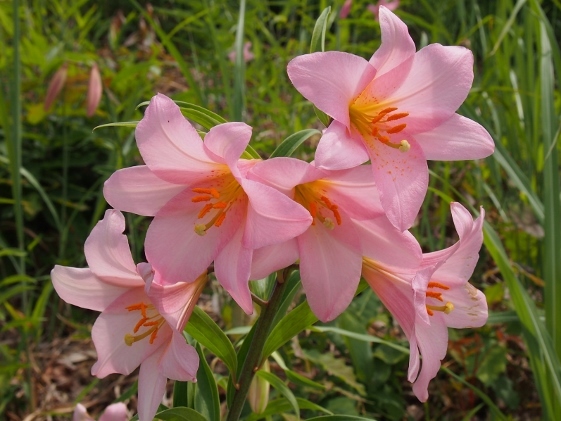 I also stopped at nearby local drive-in store called "Himesayuri-Romankan". 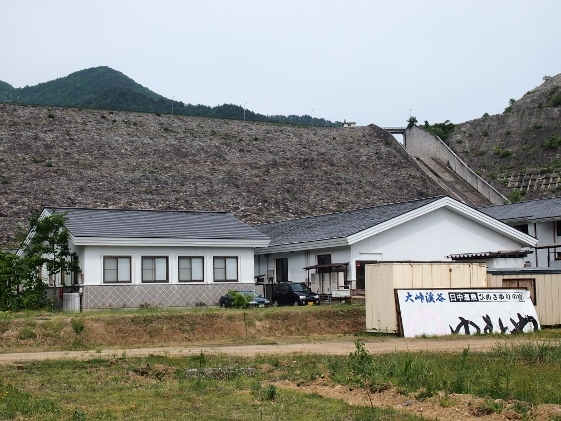 Tonight I stayed at Yumotoya Inn which was located just beneath the huge wall of the Nitchu Dam as shown in the pictures above. 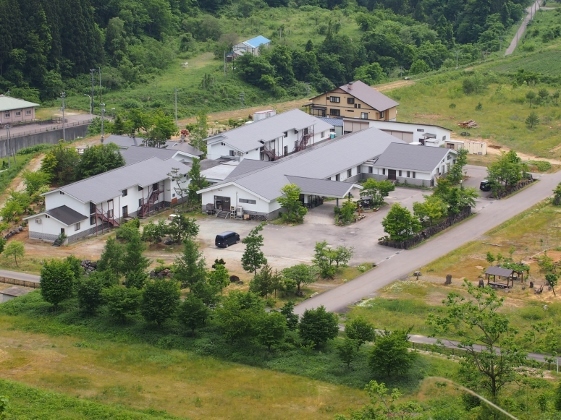 The inn was a member of Japan Association of Segregated Hot Spring Inns, and I could relax in the bath with medium temperature for a long time with effective chloride hot spring.